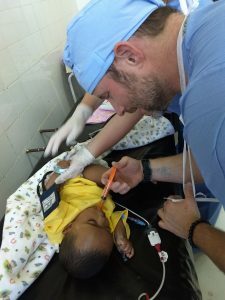 When we first arrived at Felege Hiwot Hospital in Bahir Dar, Ethiopia, the amount of assistance required needed no clarity or introduction, as it was obvious that these gracious people needed help. The despair in the eyes of the families who came to us seeking help was overwhelming. We are very glad to be here and glad to help. 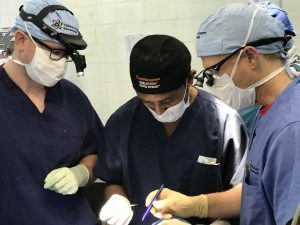 We are changing lives one procedure at a time, and the gratitude and impact that we’ve made here is evident on the faces of the family members who greet us, shake our hands and hug us. Their smiles need no translation. Our team has cared for many small children, many who were ridiculed for their conditions, and their parents were distraught over their child’s situation. We worked hard preparing them for surgery, in the operating room, and in recovery. I had the chance to leave the operating room today to visit the patients and their families in the recovery ward. The parents had smiles so big they could not hide them, and they showed their beautiful babies off to me and thanked us for our help. One special case today was 6-year-old Mednekia, with a bilateral cleft lip. 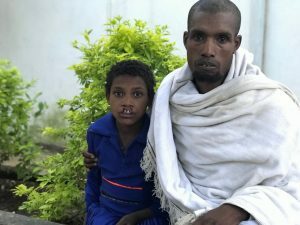 Yesterday, she and her father traveled 1.5 hours to Bahir Dar in hopes of receiving help from us after being turned down six times by other organizations. Because of her cleft lip, Mednekia has not attended school. 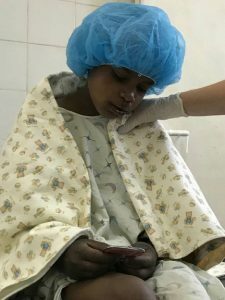 She is a sweet girl who waited patiently for hours for her surgery. Local surgeon Dr. Melesse performed her surgery under the guidance of CSI surgeon Greg Kelts. While she was in recovery, Dr. Kelts came to talk to her father and showed him a picture of Mednekia. Through our translators, he expressed doubt that the photo was of his daughter. 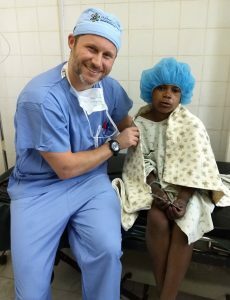 He was finally convinced, and his joy spread to the other parents as we showed them the photos of Mednekia before and after surgery. When she finally got out of surgery, the waiting area erupted with excitement. We know the future has improved for this young girl, and I was happy to have a role in her transformation. We are grateful to be here and want nothing more than to exhaust ourselves of supplies, energy and time to help change the lives of these children and their families. Thank you for the support back at home – I wish you could be here.